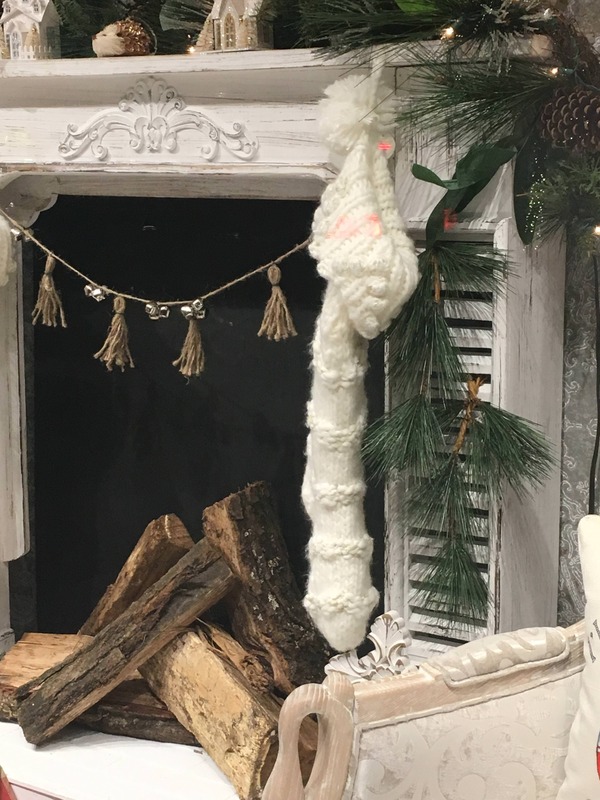 The other day I was walking in Crocker Park and I saw this beautiful display fireplace in one of the stores. I asked the manager where did they get it and it turned out that one of her workers made it. She said that I can rebuild it. So I would really love to do this project but I need help with measurements and which materials to use. I would be really grateful for any help. Here are also some pictures to see what I would like to build. If possible I would like to rebuild the same exact one. 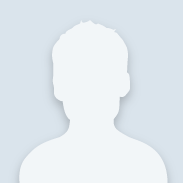 Hello diygirl94 and welcome to the Community. It appears to me, the person who made this fire place scene used some recycled architectural materials. For example the 2 louvered pieces on the leg portion seem to be from vented cabinet doors. 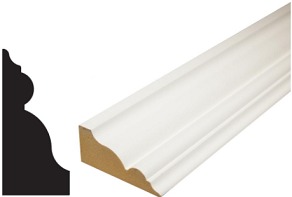 The decorative piece on the front could be ornamental moulding, see two examples below. 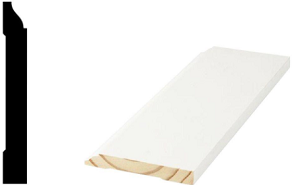 Base moulding is used around the bottom of the legs. Also crown moulding on the lower part of the top face. I can't tell how they framed the base but it appears they covered the frame work with a piece of brick-look paneling. To finish it off they use a Distressed paint finish like this one by Rust-Oleum. Click on the orange words to get details able these products. Visit your local Home Depot to get additional ideas. To get exact measurements and construction methods, I would suggest you go back to the store and ask the actual person who built it. 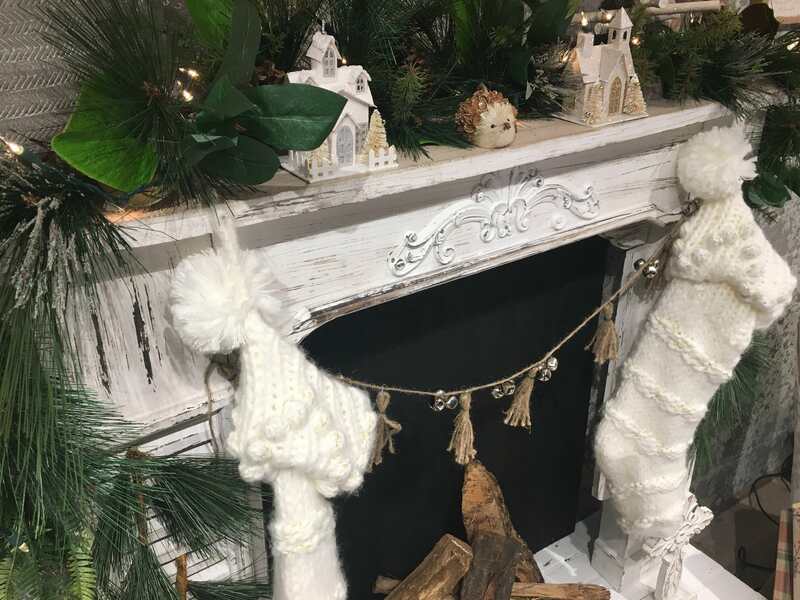 That is such a gorgeous, festive vintage farmhouse mantel…l I just love it, I can understand why you would like to replicate it. Your pictures are a tremendous help, and the workmanship that the it took to build the mantel is superb and so creative! It looks to me like some of the materials are salvaged, vintage and unique…. 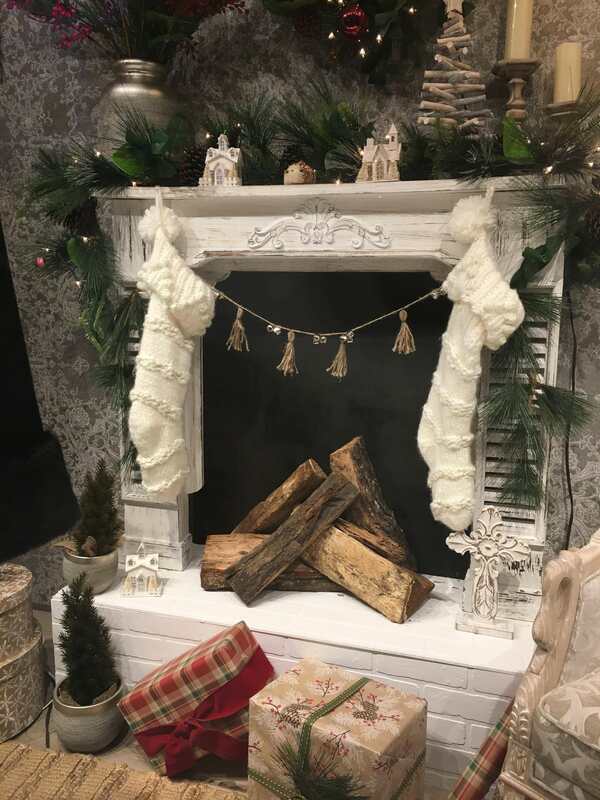 like the small shutters and the front pieces with the slight arch, but you can fashion a very similar mantel with raw materials and then add some vintage elements as you go. 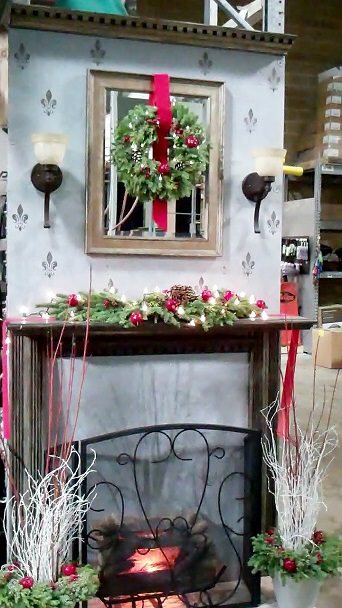 I made a mock mantel in the outside garden department of the Home Depot I work in years ago. I used some fluted wood elements, it is just as if building a prop for a set. Is this something that you will keep up or is it a mantel just for the holiday season? First thing I recommend is: walking the mill-work aisle of your local Home Depot to get some inspiration. 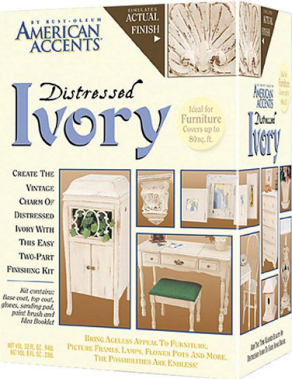 There are so many components that you can use to add a bit of vintage into your piece. I used a pine stair tread for the top of the mantel and some fluted mill-work for the long sidepieces. Check out some antique shops or garage sales in your neighborhood for some shutters, Home Depot sell interior window shutters but I think that you could find some vintage shutters for a fraction of the cost, you will be painting the shutters anyway, try to track down some used shutters. 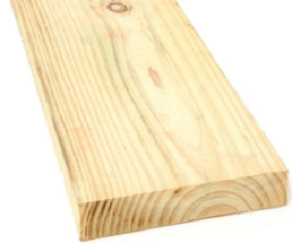 I suggest pine for the body of the mantel and maybe some different woods for the details, and use baseboard millwork for the bottom of the mantel. 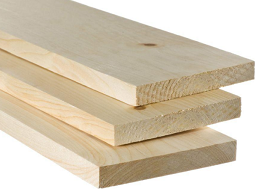 Do you have a miter saw? 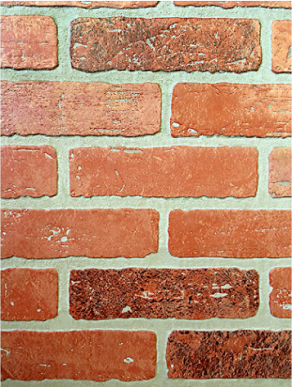 I can see from the picture that all the corners are mitered,that takes some skill and experience. I also suggest that you try to speak to the person that created the mantel on display and get some defined details of construction. 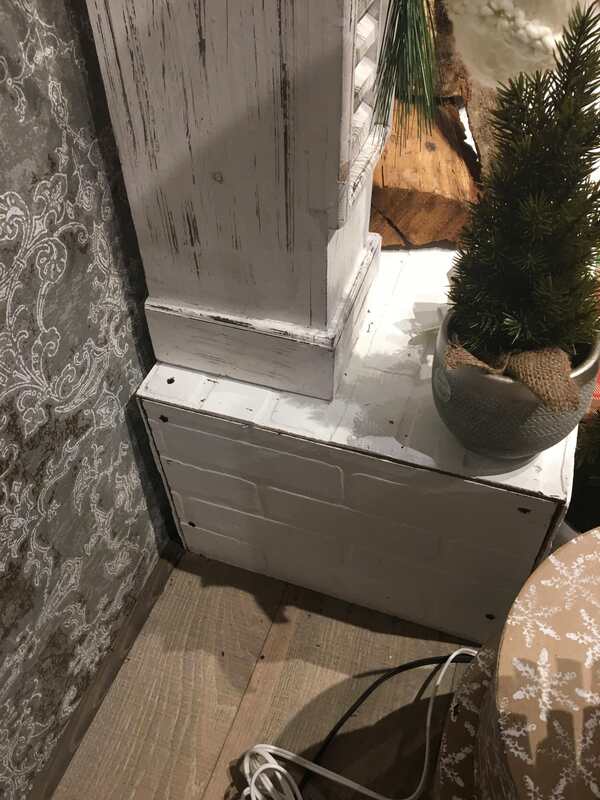 The bottom looks like a rectangle box was constructed then cover with embossed brick paper or faux brick paneling then painted with a farmhouse white chalk paint and the entire piece was distressed. The center design is a pressed wood medallion that is sold in the millwork aisle, we have many designs to choose from to fit with any style. You will need to get some measurements of the display mantel and also get measurement of the space where you will place your mantel so that you can customize the mantelpiece to fit your specifications. I see that Charlotte and I have answered your question at the same time and have a similar ideas, check out her links, ans mine as well. Let us know if you have any additional questions. We would love to see some pictures of your project! 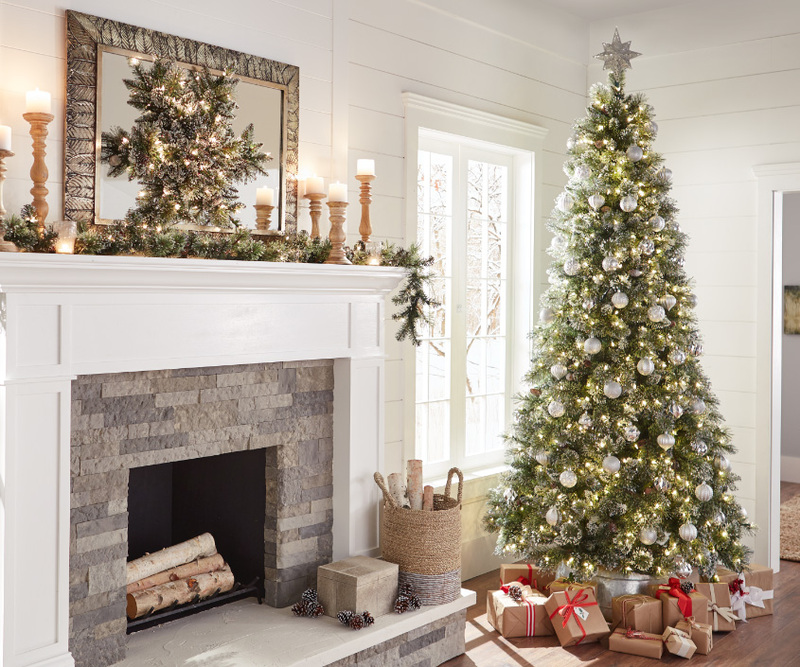 ps, while you are at the Home Depot check out all the mantel decor and holiday decorations with the simple farmhouse charm, enjoy the season!